Office safety, along with the health and safety of employees who work in industrialised plants like factories, became much more stringent following the Health and Safety at Work Act of 1974. This law means that employers must take "reasonably practicable" precautions in some laid out areas of work and their premises to safeguard all of the staff. There are many ways in which the Act has been added to over the years, for example the Management of Health and Safety at Work Regulations which were published in 1999. However, the means by which employers ensure that they are fulfilling their legal requirements remains pretty much unchanged except for certain and exceptional areas of work. As by far the majority of offices do not fall into this category, we can ignore these specialist regulations for now. In most cases it is the humble risk assessment that is used to meet the requirements of the law. 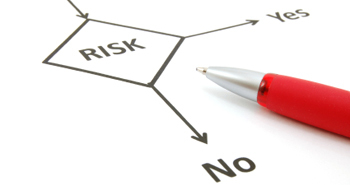 If you have never conducted one, a risk assessment is not necessarily a difficult thing to do. All that is needed is a fair and true assessment of the risks that something poses and the steps that are needed to remove or, at least, reduce them. All offices pose risks. No matter how 'safe' you make a place, there will always be an element of danger or an unexpected circumstance. Health and Safety regulations are not, in principle at least, trying to remove all of the risk in an office, for this would be an impossible task. Rather, the idea of the Act and subsequent regulations is to minimise the risk posed by a particular phenomenon. In other words, knowing that we cannot create a risk-free environment, even in a well organised office, the idea is to reduce both the likelihood of an accident and the severity of the consequences if one should occur. A good example of this would be a risk assessment of something that you find in all offices - trip hazards. Even in relatively sparse and flat offices, there will be trip hazards. Stairs and false floors, which give access to computer cabling, can be obvious trip hazards that we might well want to assess for risk. The first thing to do, in this example, is to establish how likely the risk is going to pose. A single step in a part of the office that is not used much might be designated as low risk. A few stairs near to a reception area, where there are a few coming and goings, might be designated as medium risk. A regularly used flight of stairs where bins and filing cabinets have also been stored would probably be designated as high risk. As you might expect, high risk problems need the most urgent attention. It is not just the potential outcome that needs to be taken into account, let's say falling down the stairs, but the likelihood of it occurring. This involves factors such as frequency of use. A risk assessment of trip hazards around an office is relatively simple to do, simply by walking around and visually inspecting. However professional health and safety companies can do this for you. When it comes to other types of assessments, such as electrical safety inspections, many companies choose to outsource this work. Once a risk assessment is made it usually requires some action to be taken. This might be relatively simple. In our example, using a highlight to visually indicate a trip hazard more clearly might be enough. In other cases, no action may be required at all. However, in some circumstances, more will be needed - perhaps clearing an area of trip hazards completely and providing staff with pegs so they can hang their personal belongings away rather than have them in bags on the floor next to their desks. Taking preventative measures like these is only part of the process. All staff need to be informed of a risk assessment that affects their workspace and practices. It is no good, after all, to make a risk assessment that says walkways must be kept clear of bags and boxes, if staff don't know about such a policy and fail to act on it. In order to establish that there has been an improvement and that risk has been reduced, according to the assessment that has been made, a further inspection should be carried out. There is no hard and fast rule about when this should be. Low risks might be inspected only annually, but areas that pose higher risks should be more frequently looked at until the risk is successfully reduced. Setting the timescale for the next assessment is a crucial part of the way the process works and without it the whole system can fail - with the result that offices continue to be unsafe and also potentially meaning that employers are in breach of the law. Get assistance from a Health and Safety Consltant or a Health and Safety Training firm.